Please help us continue to improve the operating and physical condition of the Liberty Liner Independence Hall! 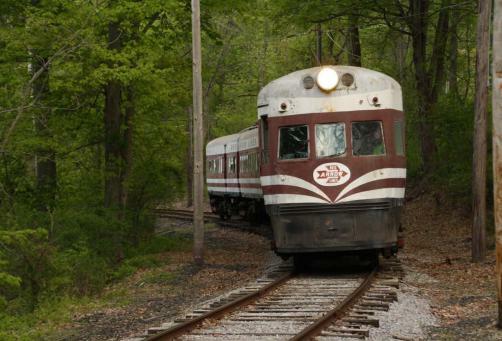 A MAJOR MILESTONE HAS BEEN ACCOMPLISHED—WE HAVE RETURNED THIS HISTORIC TRAIN TO OPERABLE CONDITION AND ARE USING IT FOR SPECIAL EVENTS – BUT MORE HELP IS NEEDED! Thanks to tremendous volunteer commitment as well as a substantial material donation, this historic train has been returned to operable condition 50 years after it was rebuilt into its Liberty Liner configuration. Now, the challenge is to further improve its reliability and make it look beautiful again. Will you help us ensure that an example of each of these trains is beautifully preserved, in operable condition, in both Electroliner and Liberty Liner configurations? YOUR HELP IS STILL NEEDED! 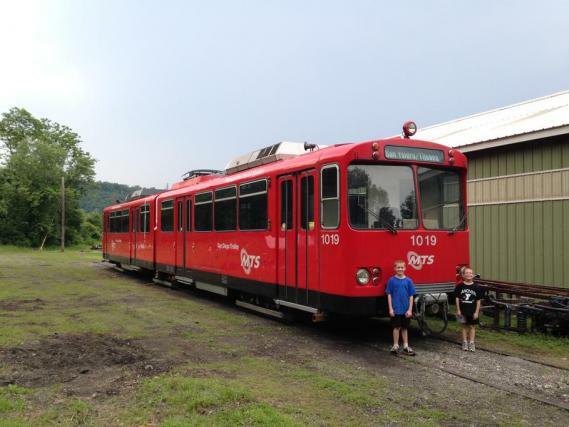 A major milestone has been accomplished – Rockhill trolley museum has become the first museum on the east coast to operate a modern light rail vehicle – but additional financial support is needed! At 7:20PM on Thursday, June 26, 2014, Rockhill Trolley Museum became the first museum on the East Coast of the United States to operate a modern light rail vehicle. Newly acquired San Diego Trolley #1019 operated under its own power one week after it was delivered the museum and reassembled by a team of volunteers and professional mechanics.